HARARE – Zanu PF’s Mashonaland West political commissar Simon Solomon yesterday appeared before Harare magistrate Rumbidzayi Mugwagwa on charges of illegally selling a farm for $12 000. 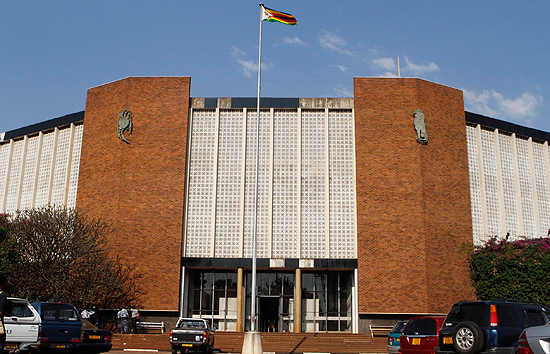 He was arrested on Tuesday and detained at Kadoma Central Police Station before appearing in court yesterday, where he filed a bail application through his lawyer. The state, represented by investigating officer Elizabeth Muzorodza, opposed the bail application saying the accused has so many pending cases at Kadoma CID and was capable of interferring with State witnesses. “Solomon is an influential person in Kadoma therefore if he is given bail, witnesses might bge victimised,” Muzorodza said. According to State papers, Solomon and his other two accomplices, Japhet Kaswaurere and Enia Chuma are accused of fraud as identified in section 136 (a) (b) of the Criminal Law (conviction and reform) act Chapter 9:23. It is alleged that sometime during the period between March 2017 and September 2018, the complainant Freeman Mhlanga proceeded to Chegutu District Lands office in search of land under the land reform programme for farming but there was none available. He was introduced to one of the accused persons Chuma who was said to have the capacity to assist him in getting the land. He allegedly told the complainant that Solomon owned some plots which he was selling. The complainant was taken to Silver Star Farm in Kadoma by the accused trio, where he was shown two pieces of land and got interested. The complainant then proceeded to his Ecobank branch in Harare where he made two transfers of $5 000 into Solomon’s account. Climate and Rural Resettlement at Mhondoro-Ngezi lands office as a data capture clerk contrary to his duties,” the State papers read. The trio then promised the complainant that the actual offer letter would be processed in due course. The State obtained a bank statement confirming the payment made by the complainant to the arrested and recovered a fake confirmation of land ownership which had been written by the accused Kaswaurere.